This luxury cottage has 2 Bedroom + Loft, spectacular mountain views from the fully furnished sundeck at the rear of the property, has close-by access to all on-site amenities including swimming pools, spa hot tubs, etc. 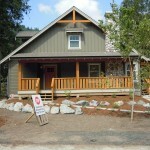 This cottage can comfortably accommodate up to 8 people and is the perfect place to spend your next vacation. 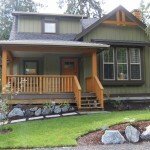 Massive 3 Bedroom/3 Bath Cottage, sleeps 2 families comfortably and offers 5 Queen Beds, 1 Single and a Playpen. 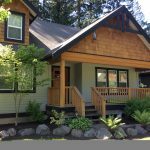 The Beach House Cottage is nestled between the picturesque mountains and located in the prestigious development called “The Cottages at Cultus Lake”. This luxurious cottage offers a peaceful getaway as the backyard borders the Tall Timbers Park providing privacy for your family. The cottage is fully furnished offering all the comforts of home such as: a fully equipped kitchen, washer/dryer, 2 window air conditioners, firepit, BBQ, fireplace, 2 TV’s, WiFi and Cable. 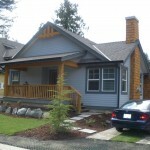 Fully furnished, 2 bedroom plus loft, 2 bathroom cottage. 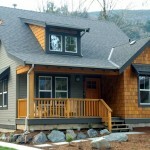 Available for weekly and monthly rental located in a 60 acre gated resort community at the south end of Cultus Lake. Comes complete with linens and a fully stocked kitchen. Enjoy the mountain views while having coffee on the front porch or watch the eagles circle above while barbecuing on the back deck. This brand-new luxury 2-bedroom plus loft Cottage features an open-concept kitchen with stainless steel appliances, a dining table for 8 and a fully equipped kitchen. The 3-way fireplace can be enjoyed from the kitchen as well as the modern living room. The Master Bedroom and full 4-piece bathroom are on the main floor. The Sunflower Cottage has a full kitchen (7 appliances), vaulted ceilings, air conditioning, full bath, fireplace, 2 bedrooms and sleeps up to 7. Amenities include a spectacular 10,000 sq. ft. Club House with a 50 ft adult lap pool, separate kid’s splash pool, adult hot tub, kid’s hot tub, fitness centre, recreation room, media centre, indoor/outdoor fireplace, and tennis courts. It will be a holiday that you and your family will never forget. Excellent rates. Disclaimer : This website is a property rental advertising service only. All property rental negotiations, contractual agreements and disputes are between each property owner and their specific renters. 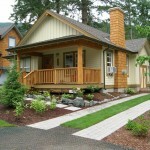 All cottages are individually owned and operated. This website and its owners, are not a party to any negotiations, contractual agreements or disputes between any property owner and their specific renters.